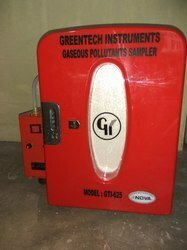 We are a unique entity in the industry, actively committed to offering an optimum quality range of Portable Gas Sampler. We are the Manufacturer & Exporter of FAV SS 304 Sampling Cylinder, 30 OD, 300 MM, 1800 PSI. For bringing plant gases from site to the Laboratory, Gas Sampling Bomb with leakproof connections can be supplied in specified size. These samplers are fabricated using high quality S.S. material. 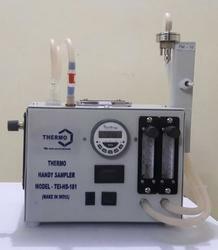 The wall thickness is designed to withstand high pressures under which gas is taken in the sampler. Equipment for handling & treatment of sample gas/flue gas for measurements of various parametres. Nozzles: Set of 3 stainless steel nozzles. The Extraction Gas Sampler method is a reliable way of obtaining a defined gas sample from an oil sample for gas chromatographic analysis of the gases dissolved in oil in order to obtain the individual gas contents, the total gas content, the solution pressure and the degree of gas saturation for transformer diagnostics on a quality-based criterion, the Natural Internal Standard.